Exercise regularly. Eat well. Get enough sleep. Share your concerns with others. Do not lose hope. All good advice regularly shared by career experts with people who are unemployed or going through stressful situations in the workplace. Add one more maxim: Keep the faith. Religion can help lower depression, maintain optimism, provide social support and offer other benefits to people left behind by the shifting demands of the new global economy, new research finds. A German study following some 5,500 newly unemployed workers over a three-year period found that individuals who attended church frequently reported they were more satisfied with their lives. Non-attenders had the deepest drops in life satisfaction. The study also found that frequent churchgoing not only cushioned the stress of unemployment, but enabled workers to adapt so well that by the third year they were reverting toward their pre-unemployment levels of life satisfaction. “This study asked whether religious attendance buffers the psychological impact of unemployment. The answer is yes,” researchers from the Center for Applied Developmental Science at the University of Jena, Germany, and the University of Amsterdam reported in the current issue of the Journal for the Scientific Study of Religion. For many people, work and faith are strongly related parts of an individual’s sense of self-worth and identity. 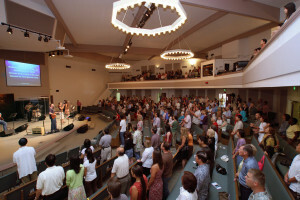 The 2010 Baylor Religion Survey found, for example, that more than half of Americans who attend services weekly or more view their work as a mission from God. 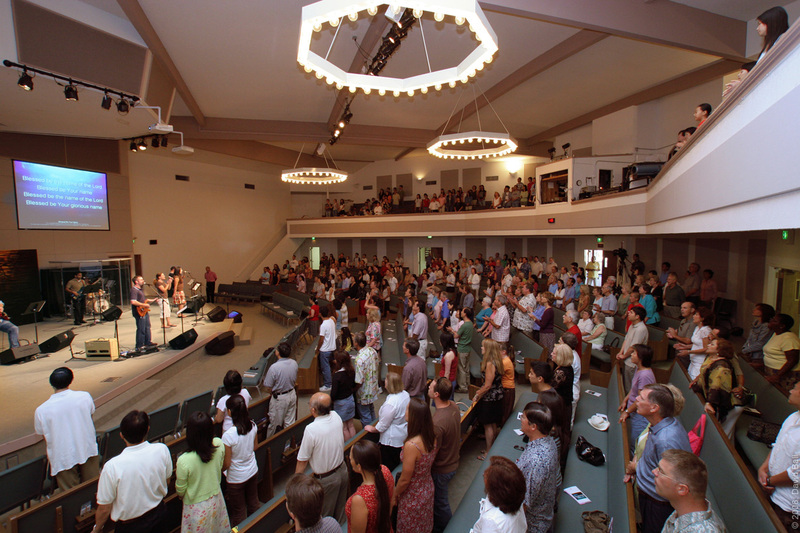 Nearly three-quarters of frequent attenders say they often or always pursue excellence in work because of their faith. After deciding whether and whom to marry, the choice of a job or career is the major life decision most likely to be influenced by faith, a study by Brandeis University researchers found. But the role of religion also goes beyond the good times. New research indicates faith also may play a positive role when work lives are upended. 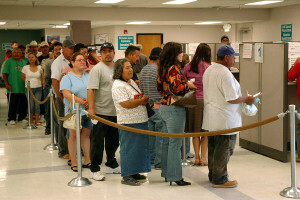 That may be good news for many of the hundreds of millions of workers who have found themselves unemployed or underemployed. Consider the situation in Poland. A nation where individuals once had a guaranteed job and benefits, social and economic changes mean workers today more often face the prospect of being laid off, taking jobs in the service sector despite their qualifications or having to look for a job abroad. In a study of 1,600 working age Poles, frequent church attendance and having strong religious beliefs were related to fewer symptoms of depression and higher life satisfaction. Overall, individuals who reported a higher load of work-related demands such as fear of unemployment and more pressure in the workplace had higher depressive symptoms and lower life satisfaction, However, highly religious individuals reported fewer signs of depression in the face of such stressors, “meaning that religiousness acted as a protective factor,” reported researchers from the University of Jena and the Warsaw School of Social Sciences and Humanities. In the U.S., a study analyzing General Social Survey data revealed going to church regularly and belief in the afterlife were related to lower levels of psychological distress for those experiencing financial hardship. Spiritual riches that last forever can make earthly financial challenges less threatening, researchers suggested. There are powerful cultural factors equating self-worth and identity to job status and material wealth. But researchers note religious communities may provide several sources of support that buffer the effects of financial crises such as joblessness. They include access to friendship, support systems and feelings of being part of communities that validate the inherent worth of the individual apart from the status of their jobs or the size of their bank accounts. The idea that a loving divinity cares for them and is with them in their struggles also offers an important source of consolation that is unique to faith groups, researchers state. The findings give particular support for religious groups who offer ministries to the unemployed and underemployed. In a famous verse from Christian scripture, the biblical Book of James declares, “Faith without works is dead.” In the new global economy, it may also be said that faith for those without work may be a blessing.